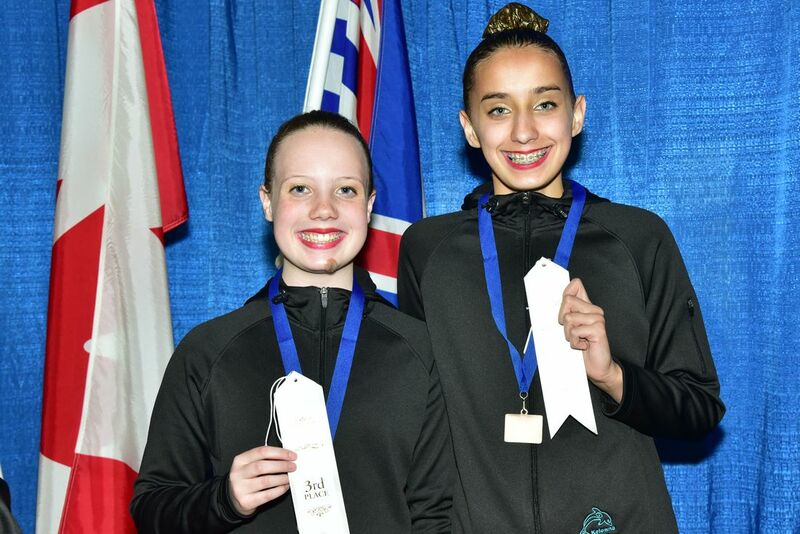 May 17,18 and 19 is synchro Bc provincials in Nanaimo at the Nanaimo aquatic centre. Congratulations to the BC team that headed to the Canada winter games. You guys did a great job representing synchro bc! We're training hard to get ready for the interior fun meet in Kamloops. The fun meet is the first meet that we get to compete our routines, we have all our athletes going to compete. The Kelowna dolphins wish all athletes good luck at the fun meet. We recently started our masters program and are excited to see it grow. if you are interested please contact us. The Team had a great start up to the 2018-2019 season. The fall sessions was slightly shorter than usual so we are looking forward to a full season running January through to the end of April (with a break for spring break!). We have beginner synchro running on Tuesdays and Thursdays starting January as well as a brand new Adult Beginner Synchro program on Thursday nights. January Try It Nights are Tuesday Jan 8 and Thursday Jan 10 during our beginner synchro time slot (6-7:30). Registration is now open for the 2018-2019 season! We had our first try it night on August 23rd and had a great turn out of new and returning swimmers! We're excited to be able to hold one more try it night as well. Come join us for our September Try It: September 27th from 6-7:30. Registration is also on going - we have space in all programs with our Thursday Beginner Session being the most popular - sign up soon to secure your spot! Hey everyone! We just became a member of Nature’s Fare Markets’ 3% Club - created as an effortless way for us all to give back. Every time someone shops at Nature’s Fare they donate 3%(before tax) of the total back to us as a tax-free donation. That can add up! Shop at Nature’s Fare Markets, save your receipts, put your receipts in our 3% Club box. Within one month Nature’s Fare sends us a as a tax-free donation. Tell all your friends and family members! Anytime they shop at Nature's Fare all they need to do is save their receipt, we'll have a collection box at the pool a few times a month to help collect them and then will take them all in to turn them into money for the club! 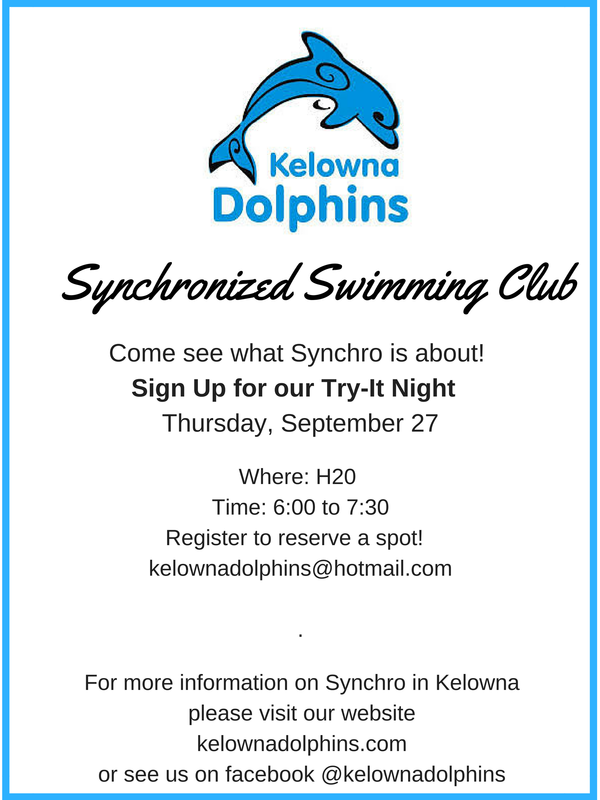 Looking to see what Synchronized Swimming is about? Come and see on March 10th! Clubs from around the Interior and Northern BC; including Kelowna, Kamloops, Nelson, Prince George and Vernon, will be at H20 for a fun meet designed to let new swimmers see what competition is about. 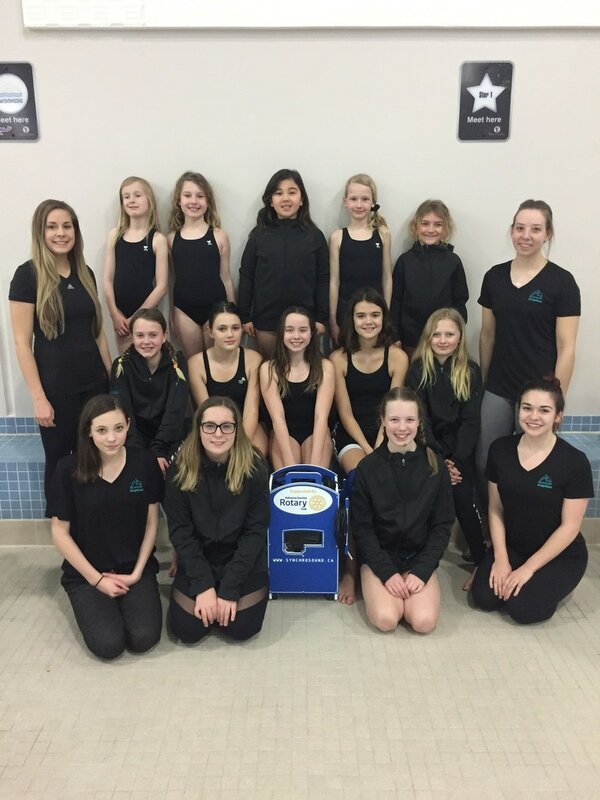 Our competitive teams will also be showing off their routines as they prepare for the upcoming regional and provincial meets later this spring. 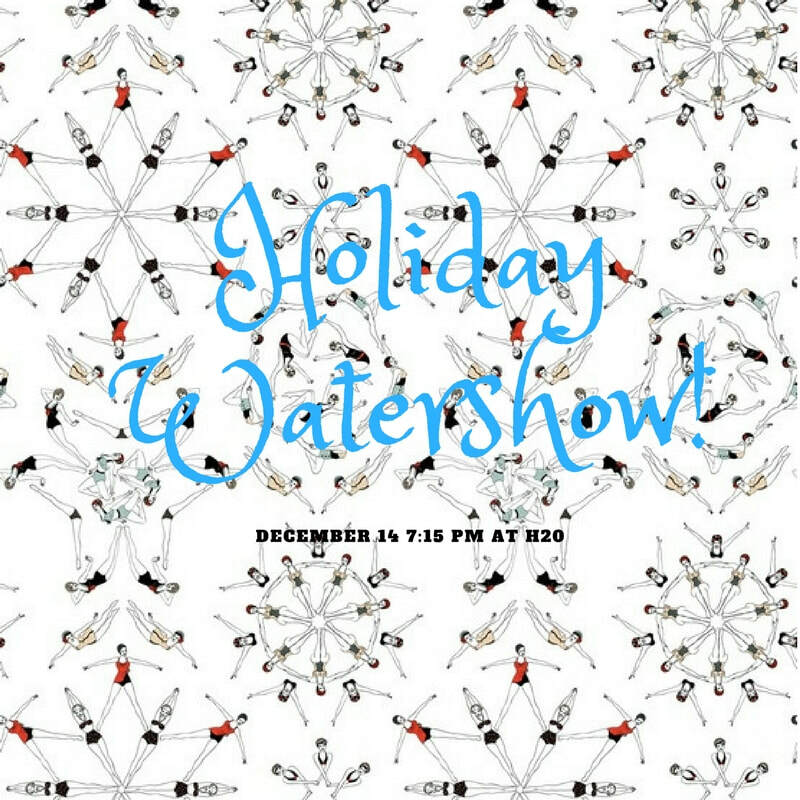 Join us for our 2017 Holiday Water Show! Amazing results for the Duets at the 2017 Jean Peters BC Swim Championships! The 13-15 Duet took 3rd place in the Province with an amazing swim on the second day of competition. This Duet had less than two months working with coach Carly to change the routine from a team routine to a duet. Amazing work that paid off in the end! The 11-12 Intermediate duet spent the season working with coach Alyssa to create a fun and challenging routine set to Star Wars music. 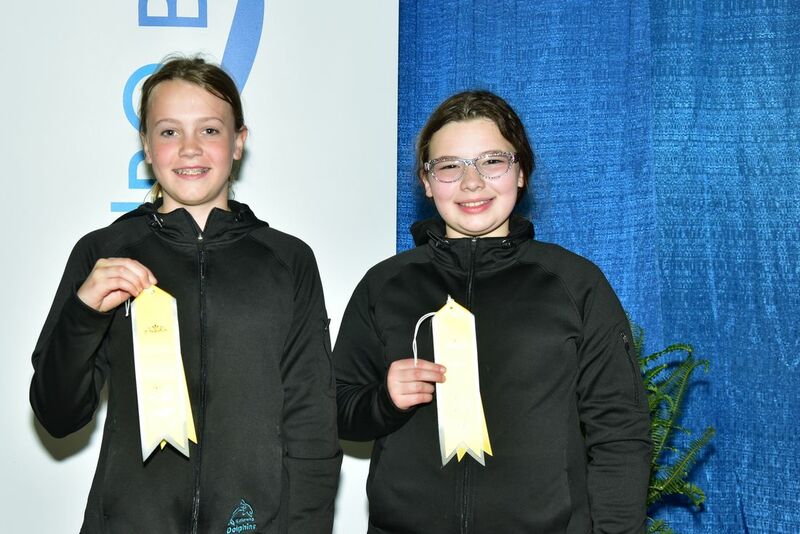 This was their first season swimming together and in the 11-12 Intermediate category, They swam both their figures and routine on the first day of competition and did a great job with both. Looking forward to next season already to see what these athletes, and new team members will do in the 2017-2018 season! The New Speaker - Thanks Kelowna Sunrise Rotary! Chances are if you've been to the pool while the club is practicing you've seen the new speaker! We went into this season knowing that we wanted to upgrade the speaker system we were using, but when that one completely stopped working we knew we needed a new speaker right away! 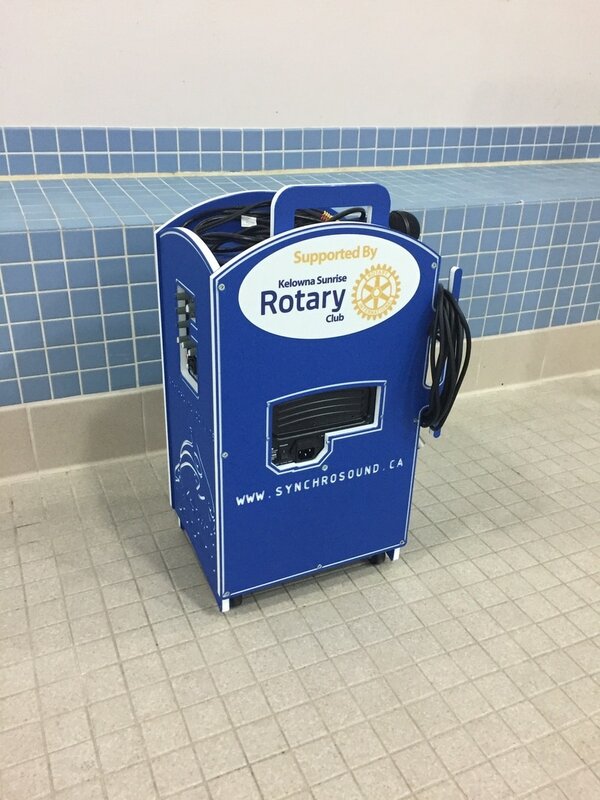 Thanks to an amazing donation from the Kelowna Sunrise Rotary Club along with a great team bootle drive we were able to purchase a brand new SychroSound Speaker so that the swimmers can now hear the music under the water! The new speaker arrived in early December just in time for our first club Watershow of the season! 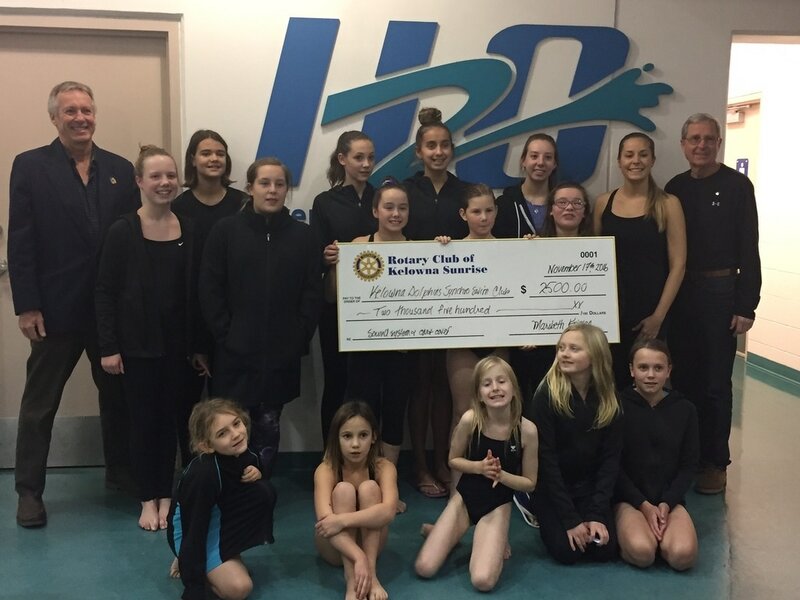 Thanks again Kelowna Sunrise Rotary, your support has really made a huge difference to the Kelowna Dolphins! Donation Presentation with the team! Happy Dolphins with the new speaker!